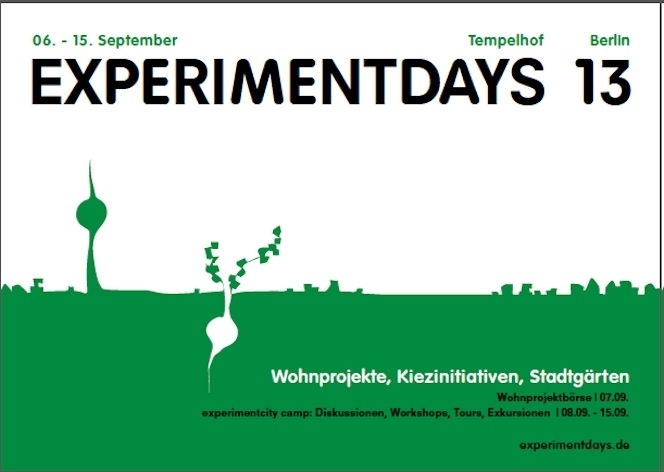 Tempelhofer Feld is the field for temporary pioneer projects. Through a performative set up asks which are the conditions to develop exemplary approaches into stable foundations of sustainable garden, culture and living initiatives. The berlin based research group formed by Stefan Krüskemper & Kerstin Polzin analyses since 2009 these questions about art and public space in performative way.